DLF Park Place tactically located in Gurgaon, is one of the optimum construction of DLF in this category. A significant development comprising of eco-friendly architecture, luxury specifications, easy accessibility, air-conditioned flats. It offers meticulously designed 2BHK, 3BHK and 4BHK apartments with cut edge innovative domicile along with elite design features and facilities. Indulge in the pleasure of cozy interiors, enjoying the latest residential features that give value for money.  Each home offer maximum space, so there is enough room for all members. Sector 54 Gurgaon is situated in the prominent financial and industrial center of Gurgaon. It is approximately around 29 km southwest of Delhi and close to numerous sectors of Gurgaon like Sector 51 and Sector 52. The locality is fastest growing with the presence of multinational company already functional such as Oracle India and HCL Technologies. Sector 54 is well-connected via roads and railways. The presence of Metro Station, Huda City Center nearby DLF Park Place has become the first choice for residents in and around Gurgaon. Where is DLF Park Place located? The project is located in Sector-54, Gurgaon. What is available flat size in DLF Park Place? Flat sizes in the project range from 1690.0 sqft to 2721.0 sqft. What is the area of 2 bhk in DLF Park Place? The size of a 2BHK unit in the project is 1690.0 sqft. What is the area of 3 bhk in DLF Park Place? Three-room units (3BHK) in the project are available in an area of 1875.0 sqft to 2329.0 sqft. What is size of 4 bhk in DLF Park Place? The area of 4 BHK apartments ranges from 2550.0 sqft to 2721.0 sqft. How much is the total size of DLF Park Place?The project is spread over an area of 15.0 Acres. Fixtures, Accessories: Glass Shower partition in toilets, and Under Counter Cabinets. Exhaust fan. Tower rail. Toilet paper holder. Soapdish, of standard make. How is DLF Park Place for investment purpose? Can someone throw light on the future prospects of real estate in sector 54? Hi Tavish, as you know that sector 54 is one of the posh colonies in Gurgaon and the property prices here are hovering around Rs 13,300 per sq. ft. Sector-54 have marked a marginal dip of around 2 percent in the last two quarters. However, if you are thinking of investing here to bag decent returns, I would suggest to invest in developing sectors such as sectors of New Gurgaon [89,90,91,92 and 93] as they are developing and have the potential to deliver better ROI than a developed sector like 54 [as property prices have reached a saturation level]. However, for short-term gains, you can put your property on rent and bag rental yields up to Rs 20,000-25,000 [1BHK], Rs 20,000-30,000 per month [2BHK] and Rs 50,000-70,000 [3BHK]. Also, its connectivity to South Delhi and key places of Gurgaon via Golf Course road and rapid metro extension to sector 55-56 are one of the major advantages for the residents living in societies in sector 54. I am in quest for a 3BHK apartment on rent. 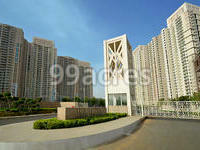 Please let me know the availability, price details and maintenance charges in DLF Park Place. Thanks in advance! Hi Saif, as per the latest information from a property dealer, there are multiple units available for rent these days and a 3BHk in DLF Park Place Sector 54 is available at Rs 60,000-70,000 per month, and this cost may go up to Rs 1 lakh per month depending on the furnishings of apartment. The RWA is charging around Rs 6,000-7,000 per month as maintenance charges, and separate charges are applicable for power backup which are Rs 14-15 per unit. In case, you are open to explore other options within sector 54, you can have a look at other available options within the same area such as DLF The Summit, DLF The Crest, etc.